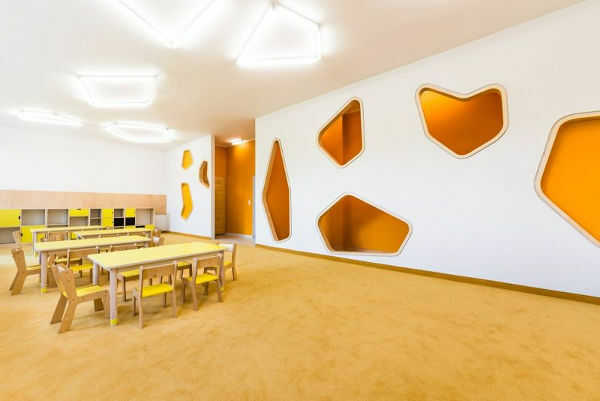 Brightly coloured carpet and organically-shaped hidey holes, this architect-designed kindergarten has it all. The incredible design features have been carefully planned, with each carrying important roles in developing children’s senses. 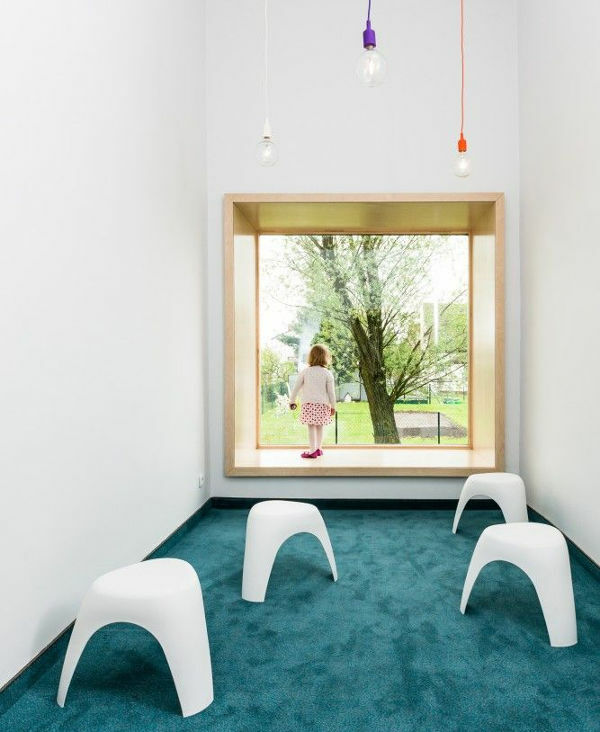 This unique kindergarten is located in Chróścice, Poland, and was designed by PORT. The rooms are all beautifully planned to capture the imaginations of different age groups, based on different colours. There is a Green Room, which has been created to mimic the natural environment. Those enticing cubby holes are not dissimilar to burrows used by animals in the wild. And the floor is deliciously grass-like. The Orange Room takes its inspiration from a similar corner of the wilderness, but this one is aimed at younger children, and developing their sense of touch, weight and balance. The bright colours of the Purple Room are designed to entice older children, with its open spaces, mixed with closed sections. 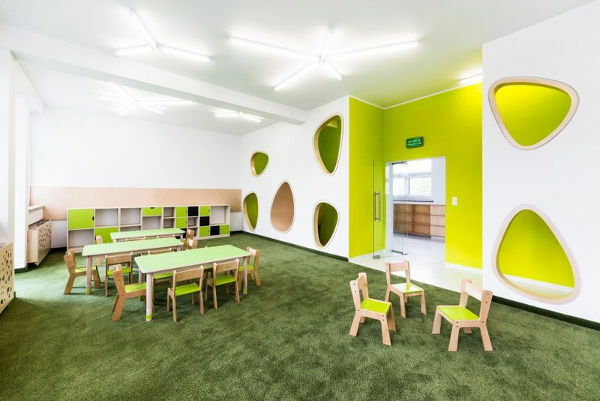 The architects say that this kindergarten is meant to encourage children to explore their surroundings independently, using their five senses. But above all, it’s designed to make them happy.